Hospital structure should be such that people coming there for recovery must get early recovery with the positivity of prevailing ambience of this organization. However today it rather seems hard because hospitals are being constructed on every site without consideration of direction, location, topography etc. This is the major reason behind the late recovery and problems that emerge at this place. Vaastu compliant hospital is one built with essential guidelines and norms such as proper location, direction of rooms, and topography of plot, exteriors and interiors of entire building. Hospital built with Vaastu principles makes people recover easily and quickly without leaving them on risk of developing any other complication. Doctor is nothing but a God, “Vaidyo Narayano Hari”, now a days Nursing homes and hospitals are getting popular and many nursing homes are coming up daily in the cities. The fame and success of nursing homes and hospitals are decided by the dedication of Doctors and Vaastu strength of its buildings. Even today also some of our elders says that if their doctor touches their hand, immediately their fever will come down and getting good health, it is nothing but hand is good. Many doctors may never accept Vaastu Shastra., to be frank the educated cannot believe these subjects like Vaastu, Astrology etc, but astonishingly now a days doctors are following Vaastu, and construct their houses / hospital according to Vaastu shastra, most of the hospitals, nursing homes in these days are being built according to Vaastu norms. Even many famous and skilled doctors have closed their hospitals as their buildings were against the Vaastu. So they faced a lot of problems in the maintenance and non-availability of staff and infrastructure failure and finally closed them down gradually. When Hospitals or Nursing homes are constructed as per Vaastu Shastra, they will flourish well and get the popularity very soon. The patients will also be cured very quickly and effectively. As we have seen more hospitals, so many now facing strict competition, now a days doctors are moving against time, that means they are working nearly 16 to 18 hours at hospitals, but many of them are not getting what they are expecting. Why all these happens, because of bad Vaastu of that building or hospital. In most of the cases, Vaastu at hospitals is not according to Vaastu principles, those hospitals, nursing homes, super speciality hospitals are at the stage of closing scene, forcibly some of the doctors’ group or managing partner of the hospital is getting loans and running hospitals, but it’s only a very short period process, how can the hospital run with loans for a long period, never. But after passing days the managing partner or head of the institution opens their eyes and showing their building to the Vaastu consultants, what is the benefit if they show the hospital building at that stage, heavy loss of finance, strain, bad name in the society. If the financial position is weak, generally ill feelings arise in between management, some times it leads to quarrels, groupings, court cases, panchayats, man handling, divisions, over powering etc. happens. It’s always better to show the site to one experienced Vaastu consultant before constructing a hospital or nursing home, get one good plan from engineer and don’t compromise to show that plan to the Vaastu consultant and get appropriate Vaastu suggestions and do necessary precautions as directed by the Vaastu consultant, this system will always enlighten the hospital history in the society, if everything is done according to Vaastu shastra then that hospital or nursing home get good name and fame in the society, have a gentle talk in between the surrounding area and it brings lots of money to the proprietor i.e., head of the doctor. SUGGESTIONS AND TIPS : A hospital needs a lot of positive energy and careful planning, according to Vaastu recommendations. People nurture high hopes of getting back to their normal health by defeating fatal ailments, when they undergo treatment in a hospital. Vaastu can be of great help, especially when applied to hospitals. It paves the way for quick recovery of patients, conducting of successful operations and earning a good reputation for the hospital. 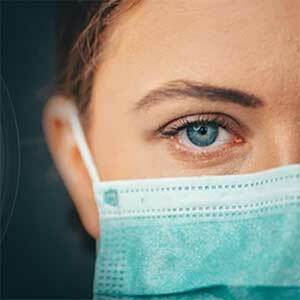 Since, a lot of people believe in the science of Vaastu in their personal lives, their trust on the hospital authorities can be enhanced, if the hospital’s setting is Vaastu-based. Vaastu advice for hospitals is based on the study of different factors, like the proper location of hospital, hospital exteriors, location of operation theaters, emergency ward, placement of beds for the patients, and so on. Tips For Hospitals • The ideal location for the construction of Operation Theater is the West zone of the hospital. • In the operation theater, the machines or equipments should be placed in the Southeast. The patient’s head should be in the South, at the time of operation, inside the theatre. • In the operation theater, the medical apparatus should be kept in the South, Southwest or West side of the patients’ bed. • In the consultation room, the doctor should sit at South, West or Southwest side only and the patients should sit before him. • ‘L’ shape is more important at doctor’s consultation room. This ‘L’ shape should be raised only to the Northeast direction. It will definitely bring prosperity to the head of the Institution or the doctor. • The patient’s room should be well ventilated and have openings in the Northeast, to allow the entry of positive rays that will help them in healing and recovering soon. • The store room for keeping the medical apparatus should be in the Southwest, West or South direction only. It should always be in a higher place than the flooring of the main hospital. • The emergency patients should be located in the Southwest room, for immediate recovery and healing. • The right place for the drinking water is the Northeast portion. For bathrooms, the apt location is the Eastern or Northern side of the hospital. • Shelves or racks of medical books can be placed in the South or West direction. • Southeast direction room would be just apt for X-Ray purposes. • Southeast and Northwest zones are both suitable for the construction of nurses’ quarters. • The perfect location for changing room and toilet is South or West. • The entrance of the Hospital should face either East or North. Operation Theaters : Operation Theater should be placed except Ishan, Agneya (Southeast), Vayavya (Northwest) corners. At operation theaters the doctors should face East or North direction while doing the operations. Then operations will be quite easier and highly successful. The rate of success is more important to the hospital for the next coming patients, and it’s free of cost in the mode of advertisement. The machinery or equipments should be placed at the South-East side. The patients head should be at the South side at the time of operation inside the operation theatre. The necessary apparatus should be kept in the South or South-West or West side of the patients’ bed. Consulting Room: The doctor’s consulting room should be located in the South-West or South or West or North-West side of the building. He should always diagnose the patients facing North-East or East or North directions. He should always sit in the Southwest or South or West side only, and the patients sit before him making ‘L’ shape which is the most important aspect. This ‘L’ shape should rise towards the Northeast direction. This will definitely bring prosperity to the head of the Institution or respective doctor. Medical Equipments Room: It should be located in the South-West, West or South side of the building at in a way that it rises above other structures on the floor. Store Room: This room should be in the South-West, West or South, store room should always be constructed in a manner that it is elevated in comparison to other rooms on the floor. Medical ward / ICU : The emergency ward should be located in such a manner that the patients visit the hospital and land up in the room facing South-West which facilitates immediate healing. The beds should be arranged at places according to Vaastu shastra so the patients place their heads in the South direction. Head should always be placed in the South, to get good vibrations and fasten the treatment process, provide immediate relief, if the patient is relieved of all sufferings that will be the main asset of the oral advertisement. This unit should come in the South-West, South, West rooms only. The pooja room should be located at eshan corner to avoid disturbing Vaastu of the main building. Electrical Equipments: Generator, Heaters etc., should be located in the South-East rooms. CLINIC Just like residential places that affect people residing in it, clinics made incorrectly never helps in speedy recovery of patients even if the doctor treats the patient with full dedication. Today due to the scarcity of place, residential places are being converted into clinics but due to Vaastu defects they suffer adverse affects and hardships. A proper Vaastu analysis of clinic renders patient’s speedy recovery for better health and it will include the construction, proper room and entrance of clinic. A Vaastu Clinic should be compliant to these following points: • A good clinic must be constructed in more than 250 sq. feet area. • Clinic built in the first storey of a building is always preferable. • Entrance of clinic should be made from East or North. • Reception is ideal to construct in Eastern or Northern side. • Doors and windows of clinic must face East, North or North-East direction. • Parking area of clinic should be constructed in South-East or North West direction which is apt according to Vaastu. • Patient’s room if any should have opening towards the North-East which helps them to recover speedily. • Electrical equipments, generator, machines must be placed in the South East direction. • Medical books or other books kept in the clinic must be placed in South or West direction. • Toilet in clinic should be made in North-West only. Just like a home or a building, even commercial places should be constructed in a way that they have a correct Vaastu. Talking about commercial places, a clinic serves as an inevitable part of a residential complex. Fever, stomach ache or even constant headache is a few of the many ailments that may sound nominal, but can cause a lot of pain and hardship to the sufferer. As such, a clinic in every residential complex has become a must. However, a clinic should be well constructed so that it heals and relieves the individuals of the pain faster. A good way to assure this would be constructing a Vaastu clinic. This type of a clinic would have everything, right from patient room to main entrance, positioned correctly and in a way that enhances recovery. Tips For Clinic • As per Vaastu, a clinic should not be less than 250 square feet in terms of area. Make sure that the place you chose is more than the mentioned area. • A clinic in the first floor would be an ideal option. However, make sure that the society does not have any objections. • For the flooring, clinic with ceramic tiles which are white or gray in colour are not permissible. Not only they make the ambience dull and gloomy, but also are very slippery. Instead, getting wooden or vinyl flooring for the clinic is a good idea. • Mirrors on the ceiling are the latest fashion. However, it is not advisable in a clinic as during the treatment, it might scare the patient, especially little children. • As for the entrance, make sure that your clinic has a reception room. A nice painting, picture or sketch would be advantageous and radiate positive energy to the patients. • The basement of the clinic should ideally be in the Northeast side of the clinic. This would be advantageous. • As for the doors and windows, there should be ones that face the North, East or the northeastern side. These would be correct from the point of view of Vaastu shastra. • In case you have space for parking area, make sure that it is in the Southeast or Northwest side. • The patient room should be well ventilated and have a window or door opening in the Northeast side. This would allow positive energies to enter the room, thereby helping in faster healing and recovering. • If you want to keep some medical books in the clinic, the shelves and racks can be positioned in the South or West direction. • The electronic equipments such as generators, inverters and so on must be kept in the Southeast direction for better longevity. The X-Ray room should also be one in the South-East direction. • A toilet in the Northwest direction would be a favourable option. 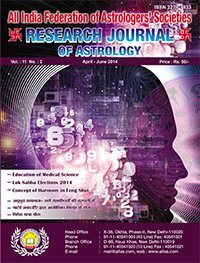 In this vedic sciences issue of research journal of astrology there are a number of research oriented articles on various facets of vedic sciences like astrology, palmistry, vastu, fengshui and numerology. Articles like education of medical science, eye diseases or blindness in birth chart, judgement of wealth through indu lagna, loksabha election 2014, palmistry and diseases, cyclic construction, hospital vastu, concept of harmony in fengshui, nelson mandela: a legend of substance, mystery of lost aircraft, similarity in the horoscopes of relatives, astrological combinations for becoming chartered accountant, foreign travel yoga and vastu of vaishno devi temple are worth reading.